04 February 2015, Singapore – Race promoter Singapore GP Pte Ltd unveils three award winning, multi-platinum headliners for the 2015 FORMULA 1 SINGAPORE AIRLINES SINGAPORE GRAND PRIX entertainment line-up. American Grammy award winning acts Pharrell Williams and Maroon 5 will headline the Padang Stage, Singapore’s largest outdoor entertainment stage. Over at the Village Stage, one of Britain’s most iconic and influential bands Spandau Ballet will be making their Singapore debut at the Marina Bay Street Circuit. 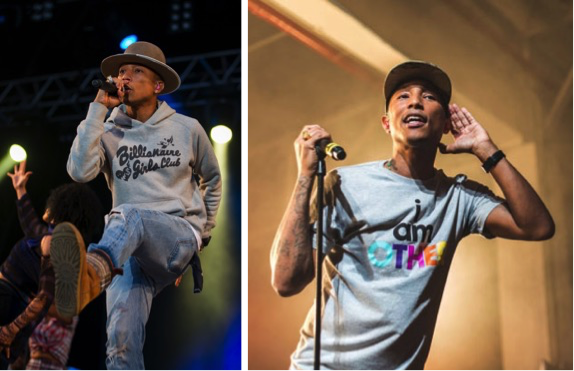 Singer-songwriter, rapper, record producer, philanthropist and fashion designer Pharrell Williams makes his debut concert as a solo artist in Singapore at the Padang Stage. Throughout his career, Williams has a string of accolades to his name including seven Grammys, two BBC Music awards and two BET awards. His smash single ‘Happy’ sold over 12 million copies, stayed in the UK Top 75 chart for 61 consecutive weeks and was Billboard’s #1 single for 2014. The feel-good anthem – the fourth track in 20 years to go triple platinum – also led to his first Academy Award nomination and two Grammy nominations. Williams, who is also the lead vocalist of hip-hop and funk-rock band N.E.R.D, released his first solo studio album In My Mind in 2006, which debuted at #3 on the US Billboard. His latest studio album G I R L, which boasts appearances by Miley Cyrus, Alicia Keys and Kelly Osbourne, scored two nominations for the upcoming Grammys and peaked at #1 in 12 countries. A creative force behind numerous hits and album successes, he has produced for artistes such as Beyonce (Beyoncé), Daft Punk (‘Get Lucky’), Ed Sheeran (‘Sing’), Gwen Stefani (‘Hollaback Girl’), Justin Timberlake (‘Like I Love You’), Mariah Carey (The Emancipation of Mimi)and Robin Thicke (‘Blurred Lines’). One of Time Magazine’s “Most Influential People in the World” in 2014, Williams is a supporter of numerous causes involving children, women, health, at-risk youth, education and climate change. The man of many hats also recently partnered with US politician and philanthropist activist Al Gore as the creative director for the “Live Earth” concert, which will be held across seven continents in June. 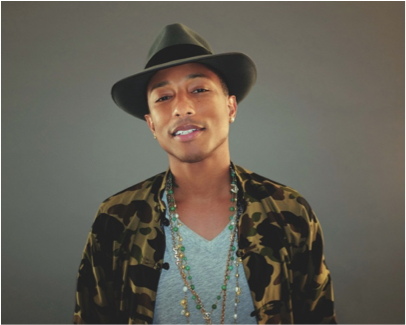 Catch Pharrell Williams at the Padang Stage on 18 September after the last track activity with any three-day 2015 FORMULA 1 SINGAPORE AIRLINES SINGAPORE GRAND PRIX ticket (from S$228). 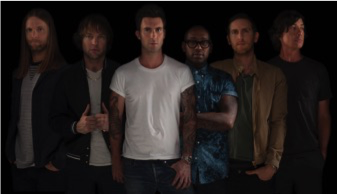 Access to the Maroon 5 performance at the Padang stage is included with any three-day 2015 FORMULA 1 SINGAPORE AIRLINES SINGAPORE GRAND PRIX ticket priced (from S$228). Iconic British band Spandau Ballet will make their Singapore debut at the Village Stage in Zone 1, the second largest stage at the Marina Bay Street Circuit. Emerging from London’s famous Blitz Club off Covent Garden in the late 1970s, the band is one of the most commercially successful bands of the 1980s with 20 hit singles, over 20 million albums sold worldwide and an incredible 500 weeks on the UK charts. In 2014, Spandau Ballet was honoured with the PRS for Music Heritage Award at the Blitz Club, which played a pivotal role in launching their legendary musical career amongst others including Boy George and Pete Burns. Following a 20-year hiatus after their split in 1990, the band reunited in 2009 and released their seventh studio album Once More that entered the UK Top 10. Their much-anticipated reunion has seen them sell out 13 Arena shows in the UK including three nights at the O2 Arena in London. In the same year, Spandau Ballet was honoured as the Best Comeback of 2009 in the Virgin Media Awards. Last year, the quintet released a critically lauded ‘Soul Boys of the Western World’ documentary, charting their journey through the 1980s and beyond. The film premiered at SXSW Film Festival in Austin, Texas and was featured at the Rome Film Festival, Film Fest Gent and DOC NYC. The UK premiere hit at a sold out Royal Albert Hall in London were the band came together on stage for the first time since 2010 to celebrate. They also released Spandau Ballet The Story…. an Ultimate Hits hits collection featuring 3 brand new songs produced by the legendary Trevor Horn. The 2015 Soul Boys of the Western World Tour began in the USA in January where the band played their first tour dates for 30 years, uniting critics and fans alike in praise. Fans of the new romantic combo will be serenaded with some of their greatest hits including ‘True’, ‘Gold’, ‘To Cut A Long Story Short’, ‘Through The Barricades’, ‘Communication’, ‘Only When You Leave’ and many more. 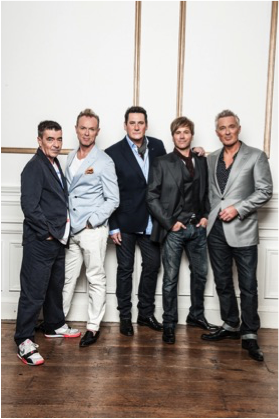 Access to the Spandau Ballet performance at the Village Stage is included with any three-day 2015 FORMULA 1 SINGAPORE AIRLINES SINGAPORE GRAND PRIX Zone 1 ticket (from S$498). Group Booking Special for eight or more tickets is available (from S$398).